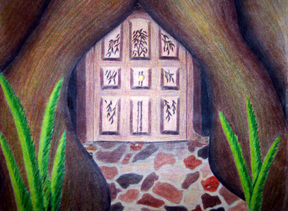 This is the door to the burrow of the Willow home. I think those are so amazing!!!!! I really cannot wait to see more! And I hope someday that we can actually see this book at least published. Thanks again for everything.... the drawings, the encouragement, and your friendship. But I got my hand on my gun! J3TChick wrote: I think those are so amazing!!!!! I really cannot wait to see more! And I hope someday that we can actually see this book at least published. Thanks again for everything.... the drawings, the encouragement, and your friendship. And.. I can't wait 'till I can say "I know that author and illustrator!"